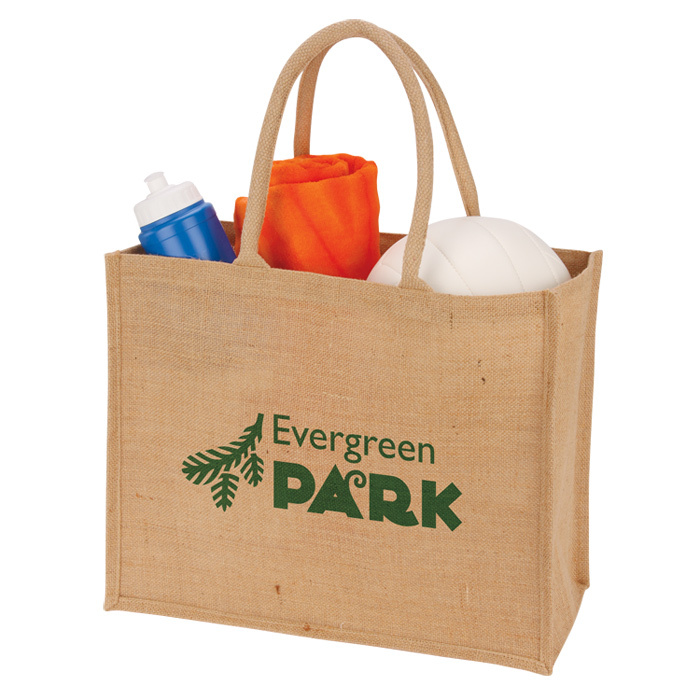 Great value, sturdy natural coloured jute shopper with gusset and rope handles. Landscape print area for your branding that looks great printed with a large bold design (fine detail should be avoided due to uneven surface of natural jute). For orders of 250 bags or less (with a 1 colour print) we also offer a 3 day express service on this item. Also available with coloured trims for the same price. Option to double your advertising with a print on both sides (costs extra) - just ask our friendly sales team for more info! Dimensions: 430 x 350 x 200mm. Print area: 250 x 250mm.